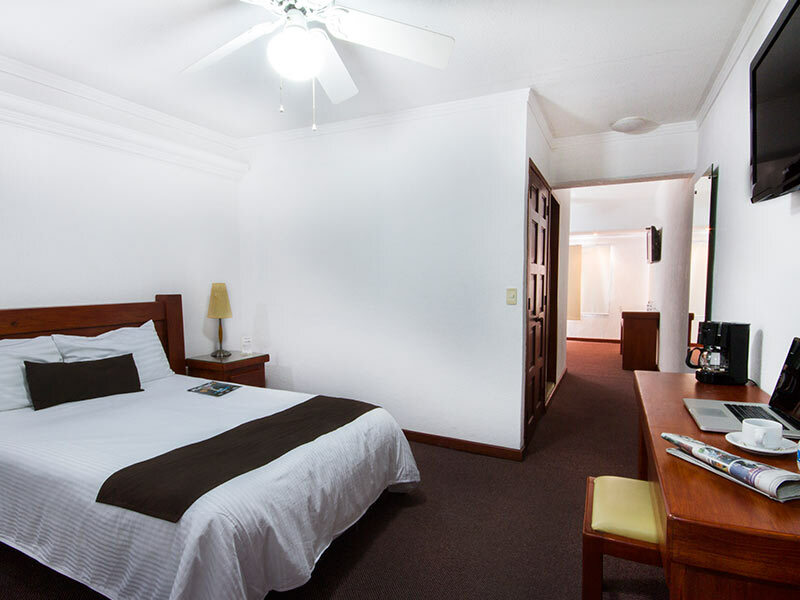 Hotel Campestre Inn features 134 rooms divided in single, double, executive suites and two-bedroom Jr. Suites, each distinguished by its space, comfort and cleanliness. 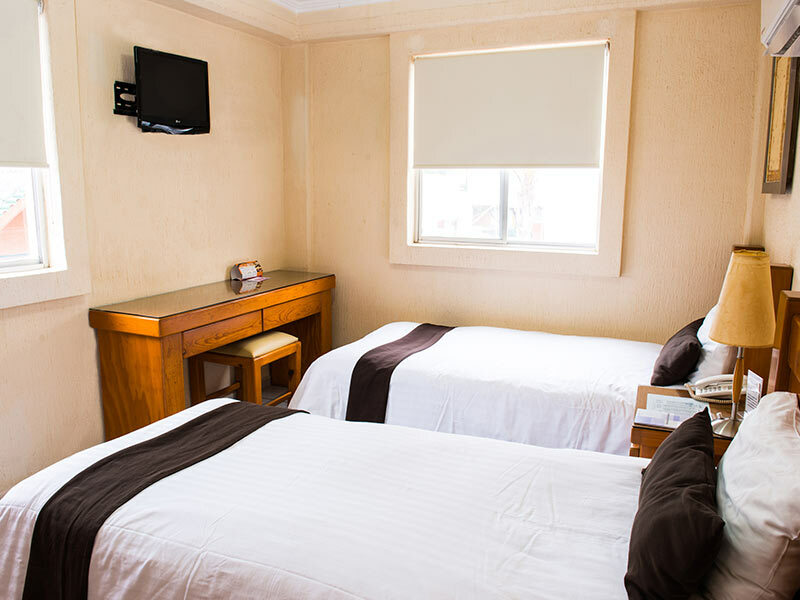 All of these non-smoking rooms include the necessary services and elements to create a sensation of total relaxation. It’s a two-bedroom suite with one double bed and two single beds, with space to sleep 4 adults or 2 adults and 2 children and up to 1 extra person in an additional bed. Features kitchen, dining table, refrigerator, stove and cooking utensils, living room and laundry room, air conditioning and internet access, in addition to a private bathroom with amenities. Suite with one king size bed to sleep up to 2 people. Features kitchen, dining table, refrigerator, stove and cooking utensils, living room and laundry room, air conditioning and internet access, in addition to a private bathroom with amenities. 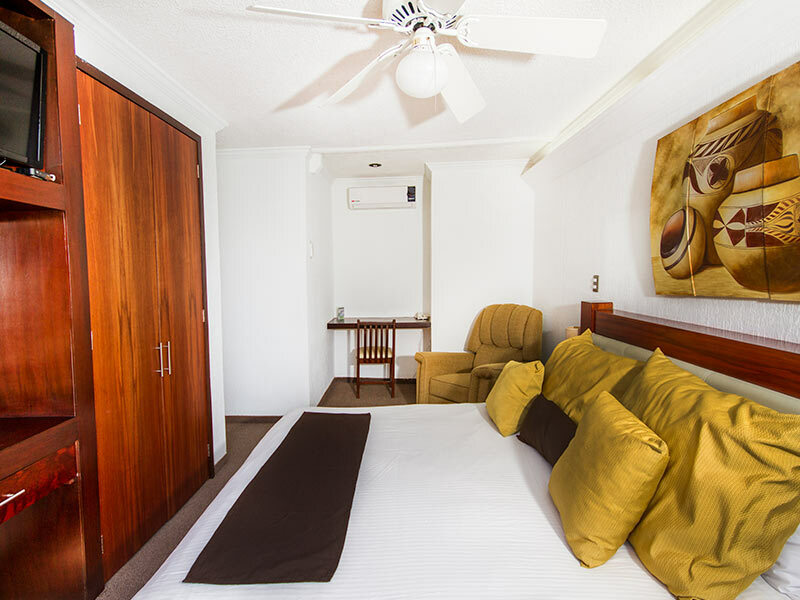 Standard room equipped with two double beds to sleep up to 4 people. Features TV, air conditioning, telephone and internet access, in addition to private bathroom with amenities. 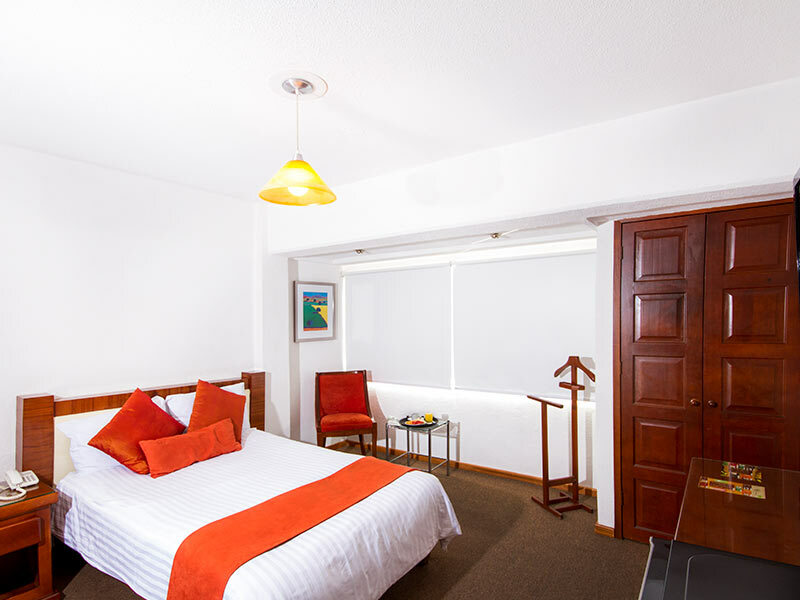 Single standard room equipped with one double bed to sleep up to 2 people. Features desk, TV, air conditioning, telephone and internet access, in addition to private bathroom with amenities.